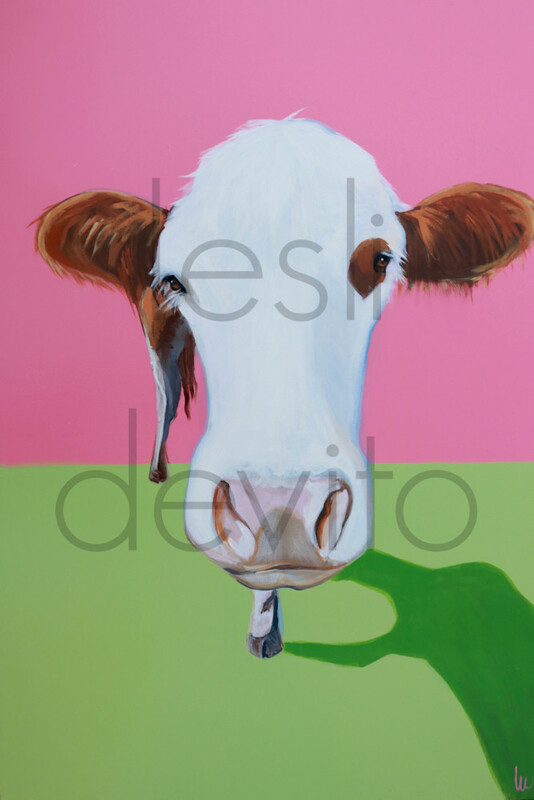 Inspired by the bright pink and green beach colors of "Lilly Pulitzer" fabrics, this happily grazing cow is one of my all time FAVORITE paintings - NOW available for the first time as prints! She makes a great gift! Each print is available with your choice of UNMATTED, matted and/or framed.